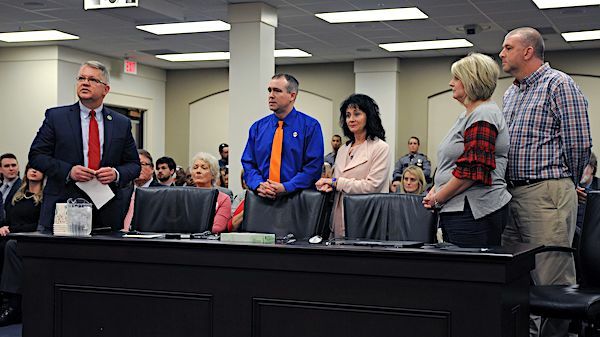 FRANKFORT, February 7 – (left to right) Sen. Danny Carroll, R-Paducah, introduces Brian and Teresa Cope, and Secret and Jasen Holt at the Senate Education Committee. Both couples lost a child during the Marshall County High School shooting last year. 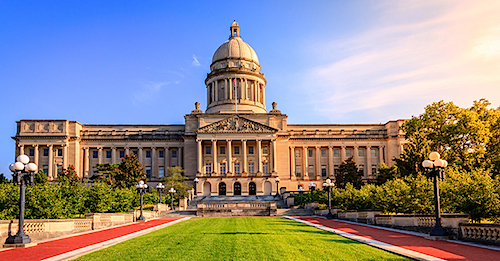 They spoke in favor of Senate Bill 1, a school safety bill.